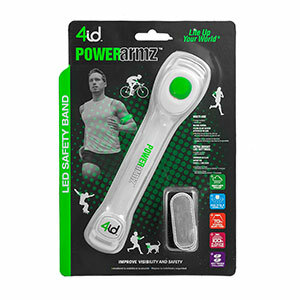 Keep safe while training outdoors with this green and white "PowerArmz" arm band. The arm band is lightweight, plus it's adjustable. 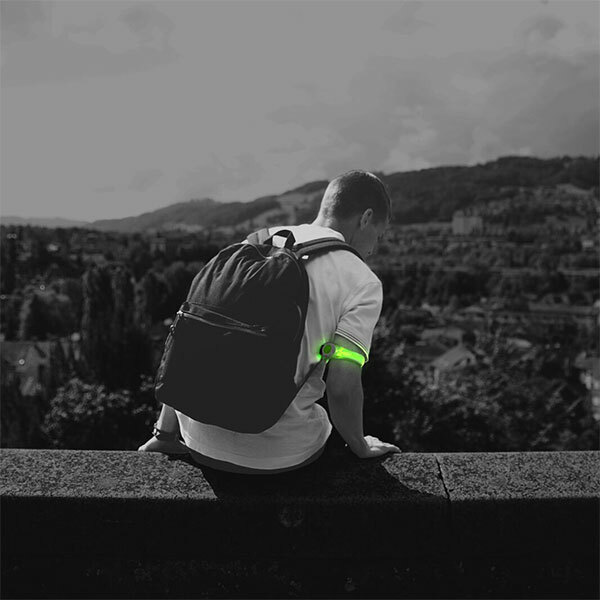 It's powered with high-intensity LED lights, keeping you visible at all times. 2 CR2032 batteries included.